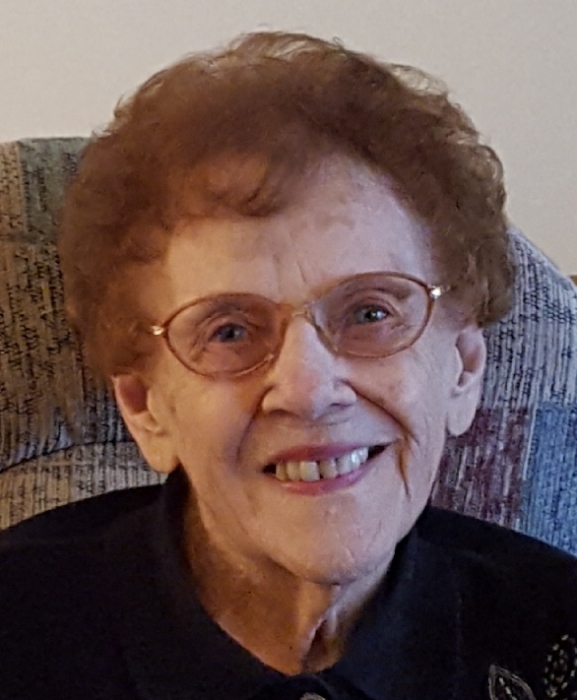 VALENCIA, Pa.---Anita G. Geiser, 90, of Valencia, formerly of Shinglehouse, Pa. and Olean, N.Y., passed away with her loving daughter by her side on Saturday, December 1, 2018, in Good Samaritan Hospice, Cabot, after a short illness. Born on February 14, 1928 in Olean, N.Y., she was a daughter of Herbert and Vesta Hasper Every. In St. Cloud, Florida, she married Arthur “Jeb” Geiser, who passed away on August 28, 2007. Anita attended Olean schools. She was employed by the former Acme Electric in Allegany, N.Y. for many years. She then was employed at Mercury Marine in Kissimmee, Florida, where she retired after many years of service. Anita, along with her husband, enjoyed clogging and square dancing. She volunteered in the gift shop at Wheeling Hospital in Wheeling, West Virginia for 20 years. She enjoyed crafts, word searches, and playing cards. Surviving are a daughter, Peggy A. (Ronald) Green of Valencia; a stepdaughter, Ginny (Jim) Jandrew of St. Cloud, Florida; eight grandchildren; several great-grandchildren; and several nieces and nephews. In addition to her parents and husband, Anita was predeceased by a daughter, Bonita M. Caster; a son, William Press, Jr.; and two sisters, Donna Gaylor and Sandra Lippert. Family and friends may call from 11am to 1pm on Wednesday, December 5, 2018, at the Virgil L. Howard Funeral Home, 118 South Union Street, Shinglehouse, where funeral services will follow at 1pm with the Rev. Russell J. Horning, pastor of the First Baptist Church, Shinglehouse, officiating. Burial will be in Maple Grove Cemetery, Shinglehouse. Anita’s family has entrusted her care to Kevin J. Dusenbury, funeral director/owner of the Virgil L. Howard Funeral Home, Shinglehouse.